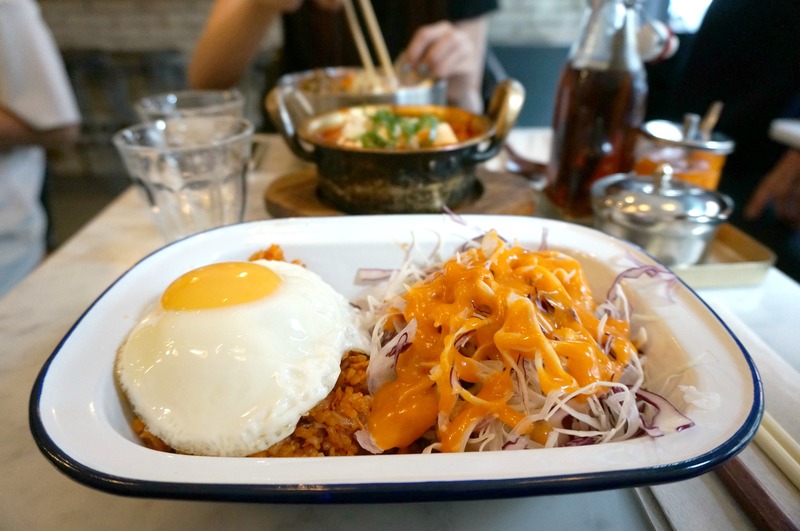 Onthebab is a trendy, chic restaurant situated between Old Street station and Shoreditch. Opened in late 2013, the restaurant made headlines for its quirky interior and menu style. Chicken, beer and traditional Korean street food. Having been here on a few occasions, I tried something different than what I usually have. Below is the Kimchi bokeumbab, this is Korean style kimchi bacon paella with a fried free range egg on top. Presentation is quite simple. Different to the bokeumbaps that I had in Korea, but nevertheless it was a good dish. They give you a very, very, generous portion of salad, and small amount of rice… but a dish with egg makes everything better! Grace had the bibimbap, this is normally my usual, and it’s one of my favourite dishes. Please check out the #yolkporn. Again, I feel that Onthebab gives you a very large amount of veg… compared to the rice/ meat. But it is a very filling main. 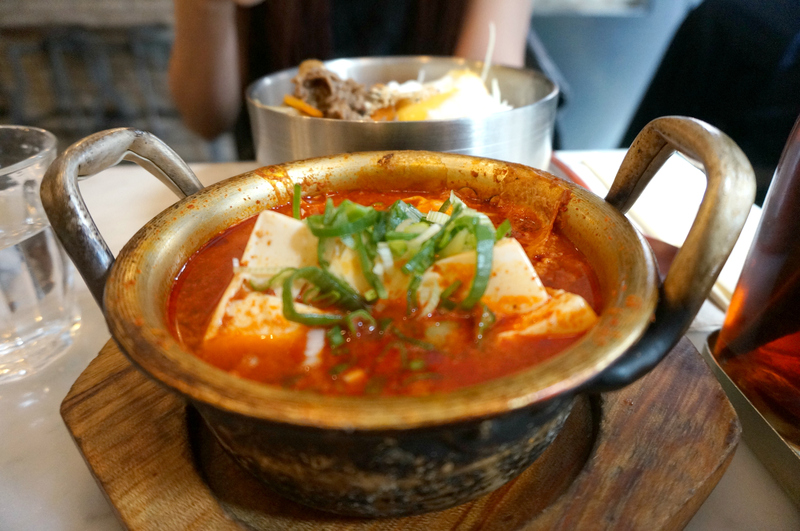 Grace ordered the Kimchi jigae, very flavourful. This is kimchi & tofu stew in pork stock. 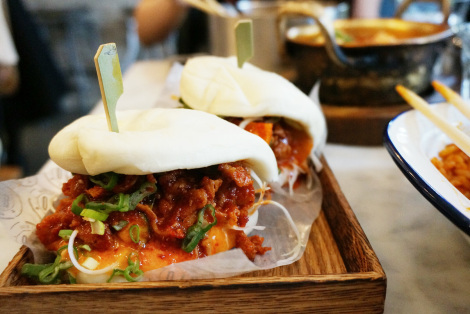 For this hirata bun, I opted for spicy pork, Grace was so full she didn’t even have any, and I ended up eating both… BOTH. No place for your coats, small tables, but it’s cosy. I would also recommend trying the fried chicken. Try it, honestly.